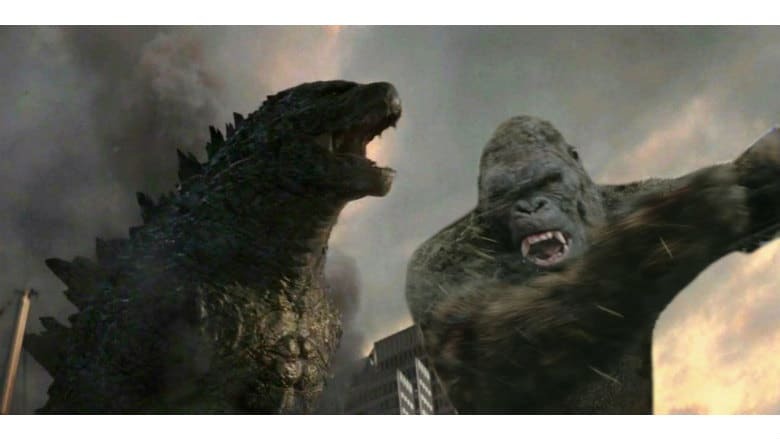 Godzilla vs. Kong Plot Revealed, Production Begins | Nerd Much? With Godzilla: King of the Monsters now just 6 months away, Legendary Pictures has set its sights on their next project which is poised to merge the Godzilla and Kong franchises. The studio released a Godzilla vs. Kong plot synopsis for fans this morning, and confirmed that production is now underway. Adam Wingard is the director behind the camera on the film. Several characters from Godzilla: King of the Monsters will reappear within Godzilla vs. Kong, including Millie Bobby Brown as Madison Russell and Kyle Chandler as her father, Mark Russell. Other leads on the monster film include Alexander Skarsgård, Rebecca Hall and Brian Tyree Henry. The above story comes from a script that was developed by Terry Rossio. Wingard is adapting it with filming taking place across Hawaii and Australia. Warner Bros. is working in collaboration with Legendary to produce domestically most overseas territories. Toho will handle distribution in Japan. With the generalized Godzilla vs. Kong plot summary hinted at, we now just have to wait a year and a half to actually see it play out. The movie lands in theaters worldwide on May 22, 2020.